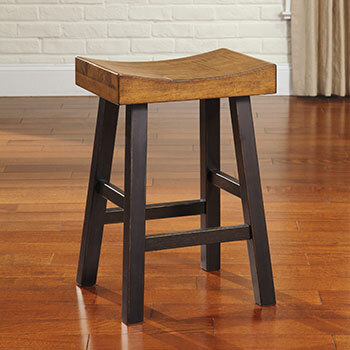 When you shop at Star Furniture, you can expect to find an extensive collection of fashionable and distinctive dining room furniture from trusted brand names such as Ashley Furniture, Millennium, Benchcraft, and more. 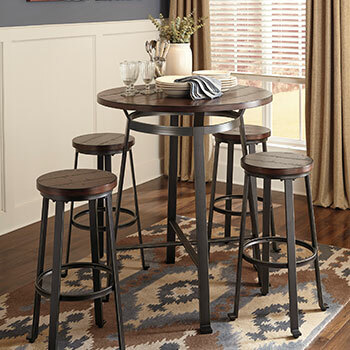 Whether you are in search of a dining table, a china cabinet, or even a set of home bar furniture, we have literally hundreds of affordable options for you to choose from. 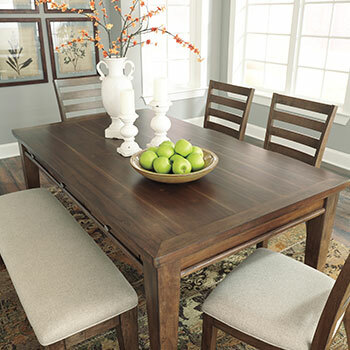 At our Lafayette, IN furniture store, we carry dining room sets suitable for homes of every size. We have compact dinette sets for two, perfect for studios and small apartments, along with lavish formal dining sets that can seat up to eight. 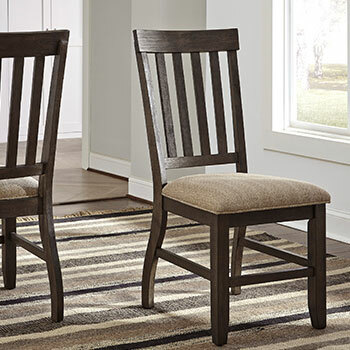 No matter what type of dining room set you are looking to purchase, you can always expect quality and reliability since all our dining furniture is crafted using strong, durable materials such as wood, steel, and faux marble. 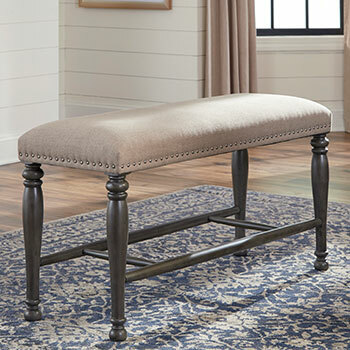 We are pleased to offer dining room sets in an assortment of styles, including traditional, contemporary, and even transitional. Our traditional dining sets feature elegantly upholstered seating and ornate design flourishes such as decorative pilasters and appliques, while our contemporary dining sets feature streamlined designs that effectively combine modernity and simplicity. 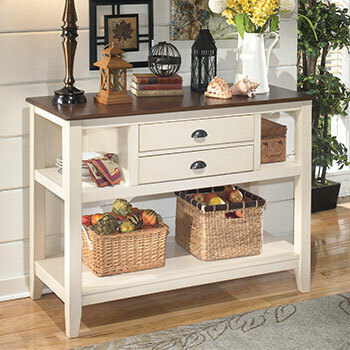 At Star Furniture, you will also find a selection of dining room storage furniture that will help you to keep all your tableware and appliances neat and organized. We have versatile dining servers and buffets that provide ample tabletop serving space paired with roomy storage drawers and cupboards. 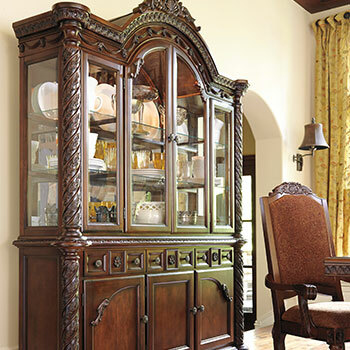 We also have china cabinets and wine cabinets that provide a beautiful way to display your spirits and stemware. 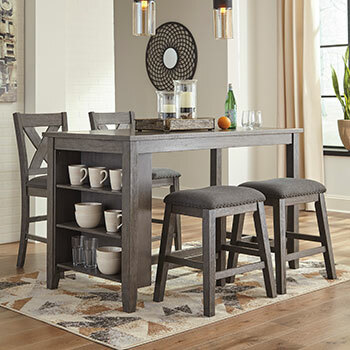 If you are ready to update your dining room decor, stop by Star Furniture today, where you will find all these fantastic selections, and so much more. 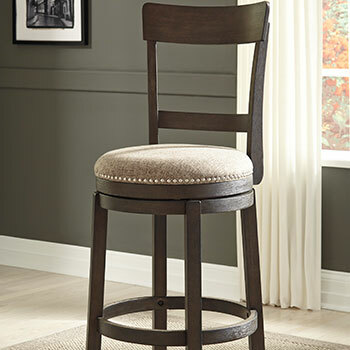 We look forward to helping you build the dining room of your dreams!